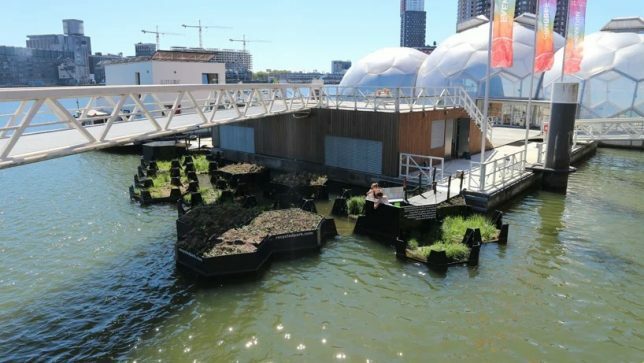 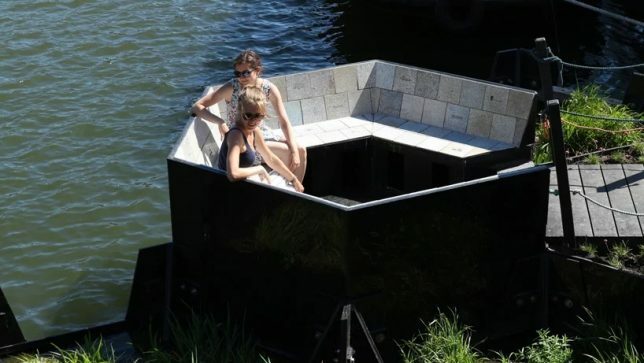 A fresh new type of park-on-the-water in Rotterdam is turned plastic trash that once polluted the area into a series of hexagonal pods now open to the public. 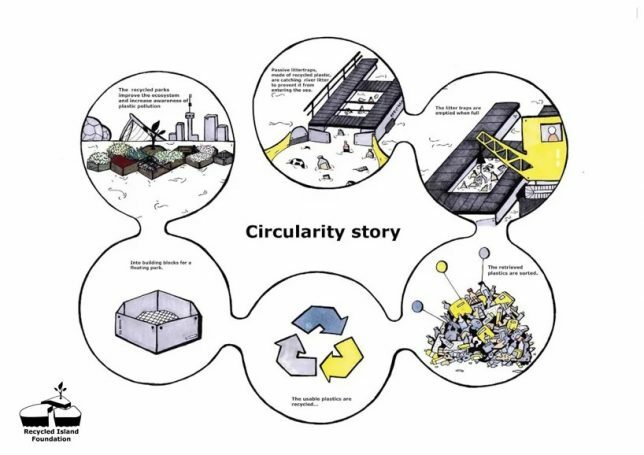 The design is built to scale, too — more units can be added as more waste is recovered. 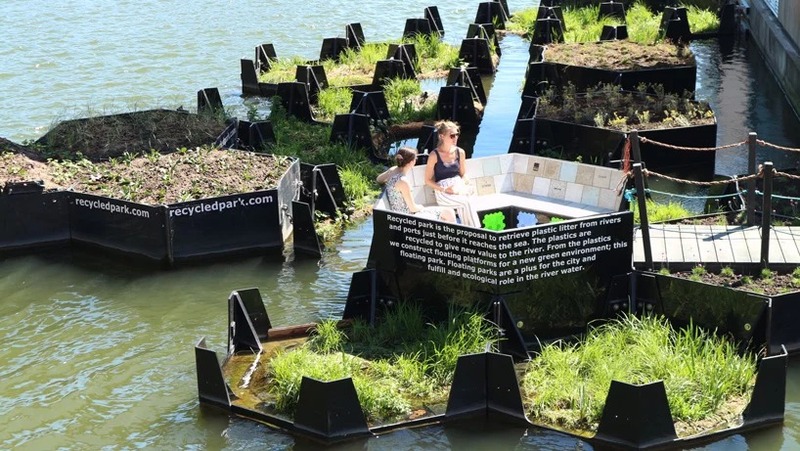 The floating landscape is meant to raise awareness, but also provides a practical resting spot for people, as well as a refuge and breeding ground for snails, flatworms, beatles and fish — each pod has its on purpose, be it benches for humans or soil for plants and animals. 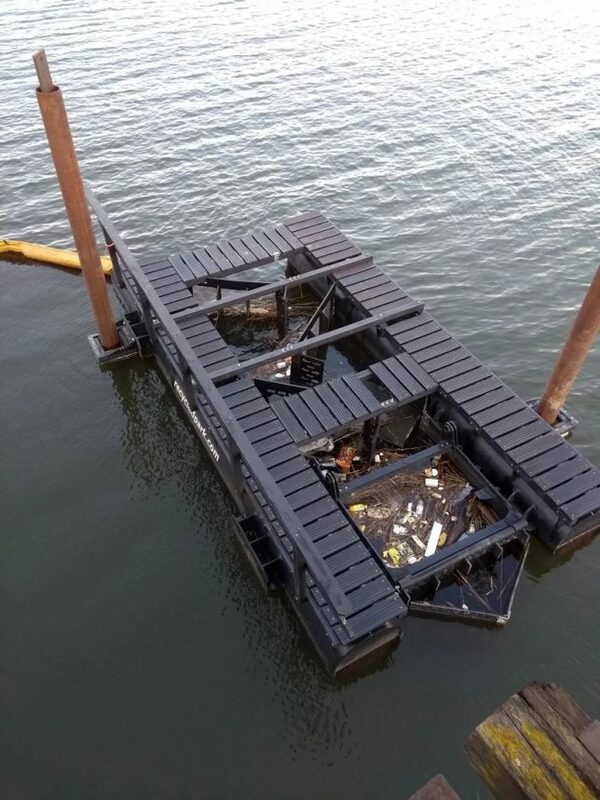 The artificial island chain was built by the Recycled Island Foundation, an organization that takes trash from the mouths of rivers using litter traps and reuses what they can. 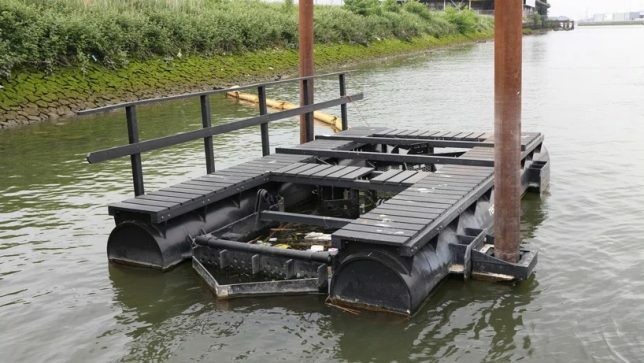 These traps are designed to catch and keep what passes by, even as the currents of the rivers change.